The Medici family name is intertwined with the history of Florence: with the enormous gains of their bank, the Medici became some of the most important patrons of art during the Italian Renaissance. 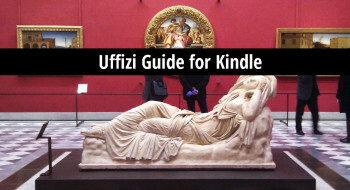 It is thanks to the last Medici heir that Florence has important museums like the Uffizi. I think that every visitor to Florence learns something about the Medici, and I know that there’s a lot of fascination with them lately due to the (not historically accurate) tv show Medici: Masters of Florence. But you could study the Medici for a decade and still not know everything about them, nor get their family tree entirely straight, which is reason enough to take every opportunity to learn more. 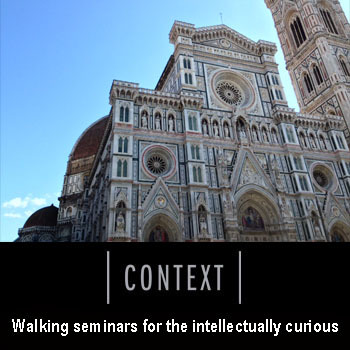 I did a little on-site learning recently with Context Travel recently in the Medici: Portrait of a Family walking seminar. 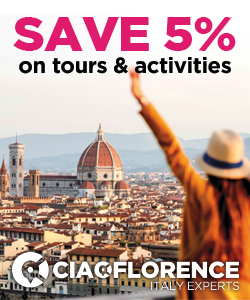 In 3.5 hours you see three important locations of Medici power in Florence and talk about even more of them, though I pointed out to our guide, Patricia, that one could easily make it a day-long tour (not to mention a semester long course or an entire art historical career). Inspired by what I learned in Patricia’s informative tour and combined with a few other personal favourites, I want to take you on a virtual “Medici Spotting” tour. Here are the main places of the Medici in Florence, or where the Medici Family has left its mark. 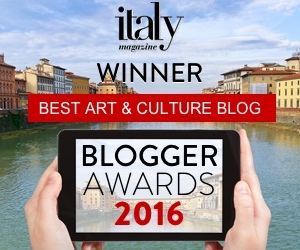 Before we start looking at specific places, a very very brief history of the Medici is necessary. Despite my art historical background, I hardly feel qualified to introduce them (and I haven’t successfully memorized the family tree past Cosimo I). Put simply: in the 13th century, Florence was very wealthy thanks to the brilliant banking skills of a few families who, along with the guilds, financed the city’s most important churches and buildings (like the Palazzo Vecchio, the Duomo, Santa Croce, Orsanmichele…). Most of these families were bankrupt before the Medici became the best and richest bankers in town. The pater familias, Giovanni di Bicci (1360-1429), managed to become banker to the Pope, and this spiraled upwards when he left the business to his two sons Cosimo and Lorenzo. Unlike his father, who didn’t like politics (although he served his city when he had to), Cosimo (the Elder) parlayed money into power, becoming the de facto ruler of Florence, which was, on paper, a democracy. Cosimo was an important patron of the Early Renaissance. His grandson Lorenzo (aka The Magnificent) was perhaps the other most important patron, especially as he gave the young Michelangelo a head start. Let’s leave it at that – the rest, as they say, is history. Just one thing to keep in mind: there are two branches of the family. The figures we’ve just talked about are from one branch, and when they die out, power passes to the other branch. At that time, you see many names repeated, in particular Cosimo I (the I is for being the first Duke of Florence and then of Tuscany) and Cosimo II. Lorenzo and Giovanni were also popular names. So that’s why we always use the nicknames like “the elder” to keep the figures straight. The convent of San Marco is a project funded by Cosimo the Elder, so our Medici walk with Context Travel started here. 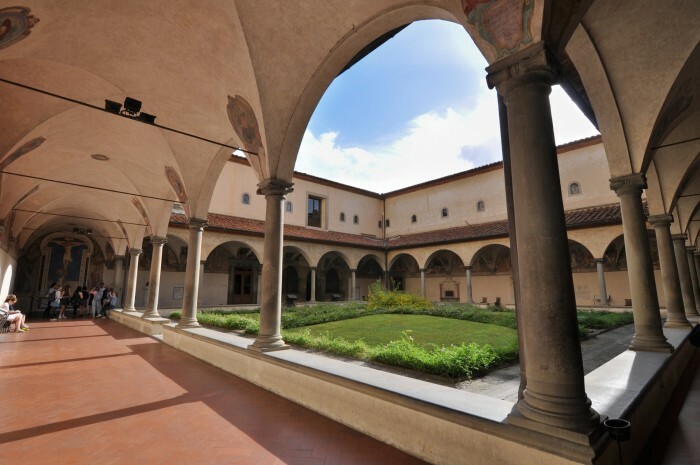 This convent was handed over to members of the observant Dominican order who previously lived up in Fiesole (the complex was taken away from the Silvestrines) by Pope Eugene IV, who, along with Cosimo, favoured this order. The place was in dire need of renovation, and that is where good Christian guilt comes in. The Medici family were bankers, and we all know that banks charge “usurious” fees and interest. Well that’s what all good banks have done for hundreds of years, and the Medici were no exception. Cosimo was getting old and starting to fear for his soul, so to atone for his sin of usury, he gave to the church. He even had a private cell built for himself here at San Marco, where he spent a lot of time (some say to get away from his wife). San Marco is one of the most unique places I think you can visit in Florence, and after all these years I have almost forgotten how unusual this place must seem to a first-time visitor. The ground floor is normal enough: you’ve got a cloister with some large rooms off it, including a chapter house (where they held meetings), a refectory and another room used now as museum space. But then you head upstairs to the friars’ living spaces. In an epoch in which surely most people shared rooms with numerous brothers or sisters, here, each friar had his own room. Sure, it’s a small and very sparsely furnished cell but it’s individual, and it has art. Fra Angelico (or as the Italians know him, Beato Angelico) was a Dominican friar and he just happened to be a good painter too. He and his assistants decorated the various spaces of San Marco from 1436-1445. Each cell has a simple painting that was used by the friar for meditation. In the more “public” spaces, the style of his frescoes are more detailed, while here they strip down to the bare essentials of narrative. Cosimo’s cell is a double one, and it’s painted with a large fresco representing the Procession of the Magi. This image reflects something that really happened in Florence every Epiphany since the 14th century, a procession that, from 1417 onwards, was directed by a lay confraternity of which Cosimo was a member, and that began and ended right here at San Marco. Another amazing space to note in San Marco is the library, which was possibly the first “public” library in Europe. By public they mean open to noble men who could read, of course! The serene repetition of rounded arches and the alternating pietra serena and white intonaco are Michelozzo’s interpretation of Brunelleschi’s style. On today’s via Cavour, and now known as the Medici-Riccardi palace for its later owners, is the Medici family home. A modest affair that Cosimo commissioned to Michelozzo in 1444, its ground floor features “rustication” of stone and details intended to recall the style of the seat of government, Palazzo Vecchio (which was built at the end of the 13th century). The upper floors have finer stone and details in line with a private palace. This building becomes the model of domestic architecture in Florence for about a hundred years. 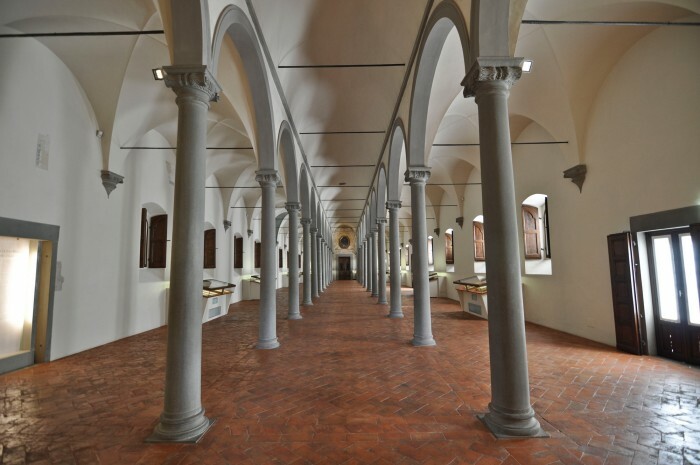 Now operated as a museum, you can visit the two internal courtyards, a small exhibition space, some rooms upstairs, and most of all, a little jewel of a chapel. 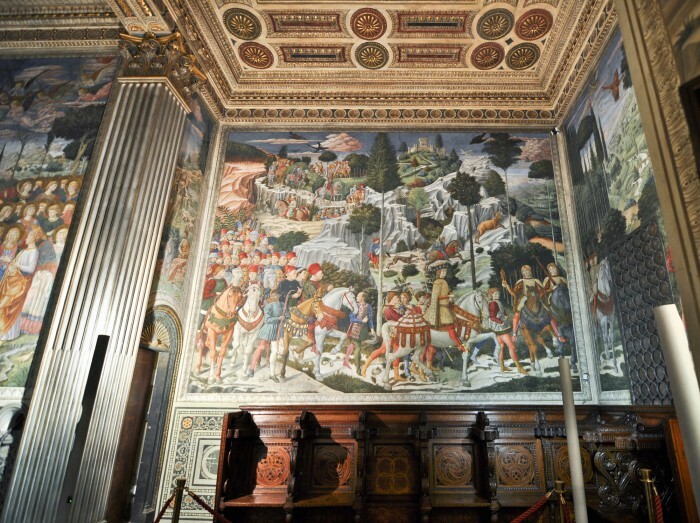 The Pope granted the Medici permission to have a private chapel in their palazzo in 1442 (a big deal – only one other family had one at this time), and Benozzo Gozzoli started painting its walls in the spring of 1459. It’s a tiny, intimate space, entirely covered in colourful frescoes. 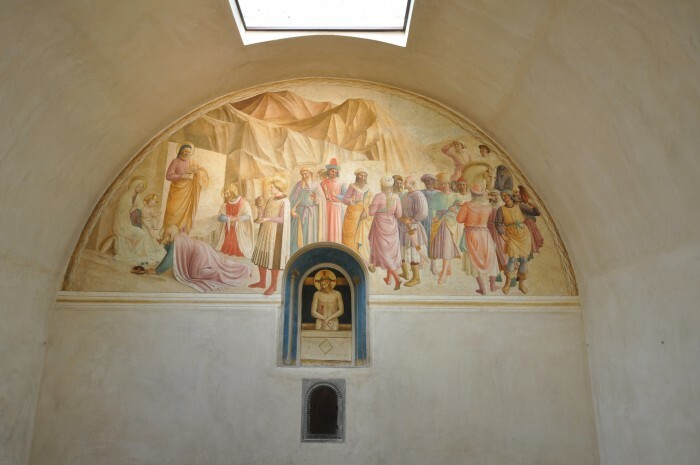 Gozzoli assisted Fra Angelico at San Marco, and it is likely that this is how the family came into contact with his work, choosing him to paint the same topic as was painted in Cosimo’s private cell in the monastery. The festive procession of the Magi takes place over three walls, leading to the painted altar that represents the Adoration (a copy by a follower of Filippo Lippi stands in place of the original which is now in Berlin). The procession records many notable faces and figures, including those of the Medici Family. A good guide like Patty could point out the salient ones, whereas I’m afraid I can’t – so you’ll want to take a tour if you want more details! The Church of San Lorenzo is kitty-corner to the back of the Medici Palace, and so it was the family’s “parish church”. At the beginning of the 15th century, there was need to renovate the church that was here. 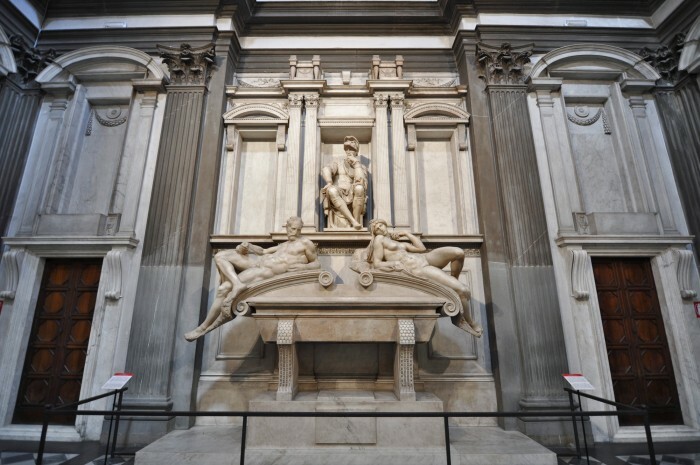 The Medici family at first “simply” commissioned a funerary chapel for themselves (the “Old Sacristy”) from Brunelleschi, and then eventually financed (or convinced noble neighbours to finance) the entire structure. The design is from the 1420s, though it took a significant number of years to complete. It’s the first and most complete Brunelleschian interior that we have to study in Florence, and the Old Sacristy within this is a space that art historians love to look at to understand the great architect’s early ideas. Giovanni di Bicci de’ Medici is buried under the altar in the center of this space. It’s worth visiting the Old Sacristy as well before heading over to the more famous Medici Chapels (or New Sacristy) on the other side of the church – which you enter by separate entrance (and separate fee) on the right side of San Lorenzo. 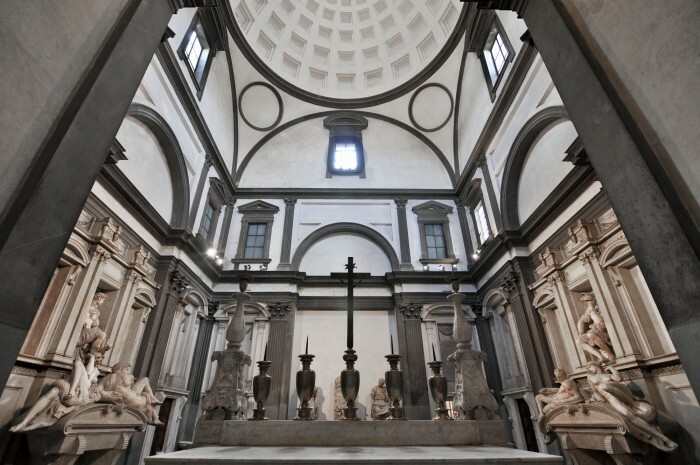 Here, the Medici family built two impressive funerary chapels for themselves. 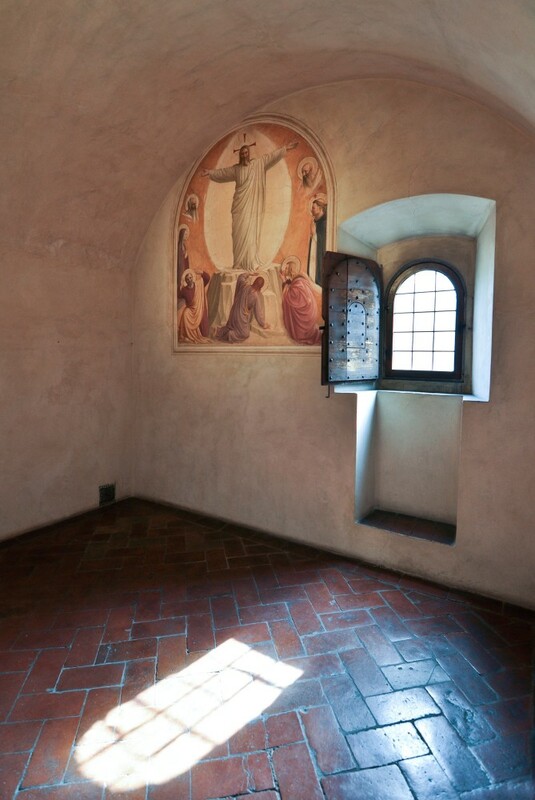 The New Sacristy was designed by Michelangelo exactly 100 years after Brunelleschi first worked at San Lorenzo. Some elements remain consistent, like the use of grey and white architectural elements, and the basic shape of the space. But everything else changes. Michelangelo’s architecture here verges on the Mannerist, with strange, illogical elements that he further explores in the Laurentian Library. This room is the burial space of two lesser known Medici family members, Giuliano (duke of Nemours) and Lorenzo (duke of Urbino). Their tombs feature portraits of them mourned by the very famous figures by Michelangelo that represent night and day, dusk and dawn. 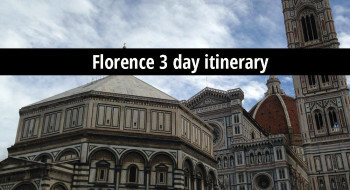 The places visited on the Medici family tour that I did are San Marco, Medici Palace and the New Sacristy which covers the first phase of Medici rule in Florence, but for good measure, if we want to talk about where you can see the most obvious traces of the Medici in Florence (namely from when they become dukes), we have to go over to the seat of government and its annexed buildings. The Palazzo della Signoria (now called Palazzo Vecchio), built by the second republic of Florence, represented republican rule, but soon after the Medici family became dukes (in 1532) they moved in (around 1540). Spaces like the Salone dei 500 and the apartments of Eleonora di Toledo, as well as the frescoed courtyard where you enter, are all rife with Medici iconography. 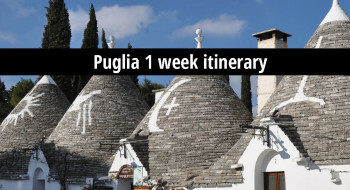 In terms of architecturally imposing structures, we can also credit the Medici with building the Uffizi – first an extension of the government offices, then a museum; with the corridor by Vasari that passes on its top, over the Ponte Vecchio and into the Boboli Gardens; the Boboli Gardens and its Pitti Palace too. 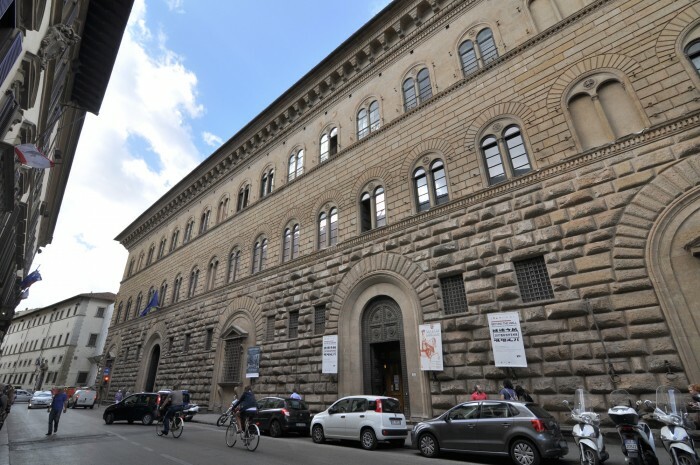 Inside the Uffizi Museum and Pitti Palace’s Galleria Palatina there are countless works commissioned by the Medici as well as numerous portraits of members of the family. 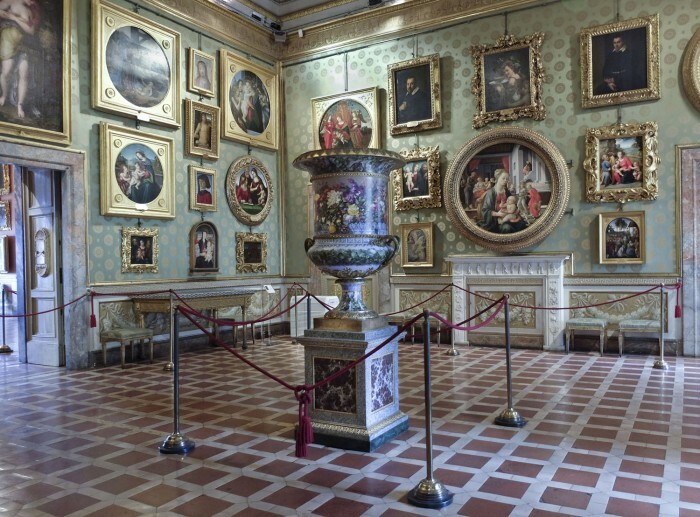 There’s no question that the Medici in Florence were the family with the greatest impact on the destiny of this city in the modern age: thanks to the forward thinking Anna Maria Luisa de’ Medici, the family’s last heir, the city preserves its the great artworks that the Medici commissioned. 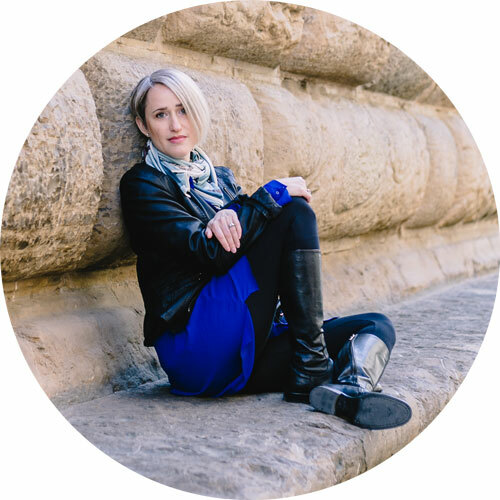 This article is part of a long-term collaboration with Context Travel, who has chosen a dozen Deep Travel ambassadors around the world – bloggers who espouse the same values as they do, that of respectful, intelligent and deep explorations of the cultures to which we travel. Here are links to some of the other articles I have written about their tours and values.